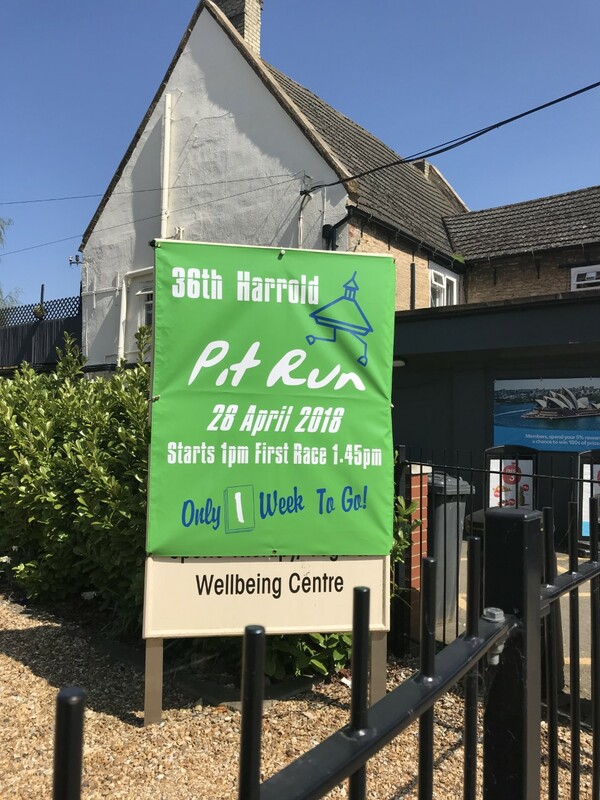 Last year we made a few changes to ensure local charities and organisations in Harrold, Carlton, Chellington and Odell benefited more from money raised at the Harrold Pit Run. By implementing these changes we raised over £4500 which was distributed between the local charities and organisations, some getting a share of several hundred pounds. As a result of our success last year we are doing the same again this year. Entrants will be able to donate money to their chosen local organisation instead of, or as well as raise sponsorship for their chosen charity. In addition 20% of the registration fee will also go to the individuals chosen charity. Organisations can sell raffle tickets before the event. In return, they will get 40% of their own ticket sales back. The Pit Run has historically taken place on a Saturday in mid-to-late April event. In 2019, Easter falls very late. With local schools on holiday from 5th to 23rd April, it became obvious to us that sticking with an April Saturday would have a detrimental impact on the monies we could raise for local good causes, with holidays preventing some runners and stall holders from participating and/or preparing. We consulted with parish councillors, church representatives, people from local groups such as the Scouts and Harrold Calvados Society, runners, marshals, sponsors, the organisers of other local events, friends, neighbours and more. With Bank Holidays and a school half-term week in May and the Odell Fete on 8th June, the overwhelming consensus is that moving Pit Run to 15th June is the best solution. We hope you agree. So get the date in your diary and here’s to another successful Pit Run! Please choose a organisation you would like to support.